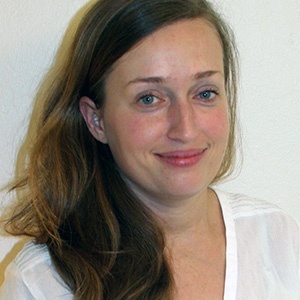 The American Society of Hematology (ASH) has awarded a $100,000 research fellowship to Jana Krietsch, a postdoctoral researcher in biomolecular engineering at UC Santa Cruz. Krietsch is one of just 12 basic research fellows to receive the award for 2016. The fellowship from the prestigious ASH Scholar Award program will support Krietsch's research on blood stem cells. The ASH Scholar Award program funds basic, translational, and clinical research that furthers the understanding and treatment of blood disorders. Krietsch works with Camilla Forsberg, professor of biomolecular engineering, whose laboratory studies hematopoietic stem cells, which are responsible for generating a life-long supply of mature blood cells. These stem cells give rise to all of the different types of mature blood cells, and Krietsch is studying how this process is regulated by epigenetic mechanisms and how it is perturbed in cancers such as leukemia and in other blood disorders. ASH Scholar Awards are made possible through support from the ASH Foundation as well as from the corporate community, individual donors, and funds committed by the Society.